Close your eyes. What do you see? Probably nothing. Probably a perceptible darkness. Most of us have a good idea of what the color black looks like; however, scientists have recently discovered a new kind of black, one that the human eye has difficulty discerning. Vantablack is a man-made substance of carbon nanotubes, which AZoNano defines as “large molecules of pure carbon that are long and thin and shaped like tubes…As individual molecules, nanotubes are 100 times stronger-than-steel and one-sixth its weight.” Vantablack was first developed by Surrey NanoSystems (at the University of Surrey) and has since become on high demand not only by other scientists, but also by artists and designers. So, how can there be a blacker black? CNN states that Vantablack “absorbs 99.96% of the light that hits its surface,” the largest percentage of absorption on record. Scientists are using Vantablack to see through telescopes. Creating darker edges of telescopic lenses allows viewers to see further into space than ever before. Due to the fact that Vantablack can easily trick human perceptions, artists and designers are eager to get their hands on this substance for sculptures, paintings, and jewelry. One lucky acquirer of Vantablack is Asif Khan, who is using a paint form of Vantablack to cover a building for the 2018 Winter Olympics. This will give the building a black hole-like outside when viewed at directly. Even though the building is a three-dimensional object, the Vantablack matter will make it appear flat and hollow, which is an appealing, unique advantage for visual artists and viewers. 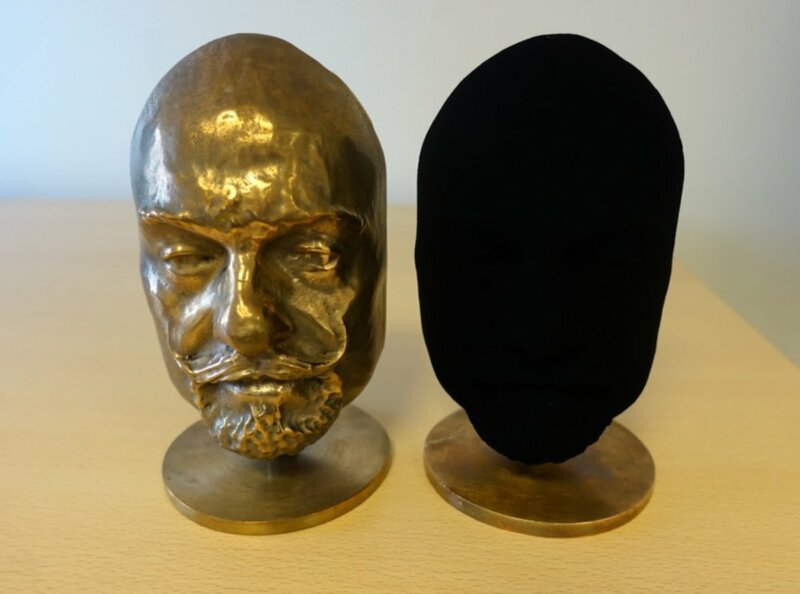 Another lucky user is artist Anish Kapoor, who has an exclusive deal with Surrey NanoSystems to utilize Vantablack to sculpt and cover busts in Vantablack. He has also designed a $95,000 watch in Vantablack. This exclusivity, like most restricted substances, created a controversy in the visual art world. In 2016, artist Stuart Semple tried banning Kapoor from using the world’s glitter-est glitter (see artnet news) as retaliation for Kapoor’s access to Vantablack. What would you do with Vantablack? What kind of impact do you think Vantablack have in the art world? Will it stick?